At the Annunciation, the angel Gabriel appeared to the Blessed Virgin Mary, and she conceived the Christ-child in her womb. 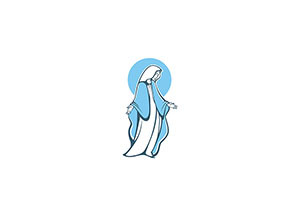 Mother Teresa calls the Annunciation, “Our Lady’s First Holy Communion Day.” What did Mary do as soon as she had conceived? Saint Luke tells us. She made haste to visit her cousin Elizabeth. Presumably Our Lady wanted to be on hand to help Saint Elizabeth with cooking, cleaning, and all sorts of household tasks in preparation for the birth of Saint John the Baptist. What about me? Does my reception of Holy Communion prompt me to charity toward my neighbor? Do I ever stop to consider that every worthy Holy Communion I make is meant to impact countless others as well as myself? When I receive Jesus worthily in the Holy Eucharist, am I not like a walking tabernacle, a living monstrance capable of bringing Our Lord to souls who would otherwise not be able to encounter Him? If I make it to heaven, will I not find saints who are there precisely because they encountered Christ in me—all because I received Jesus worthily in Holy Communion? And conversely, if for any reason I fail to receive Jesus worthily in the Blessed Sacrament, will this not affect others negatively? Whether or not I receive Holy Communion worthily is not a private or personal affair. It is something that could very well change the world—one soul at a time. When the Blessed Virgin Mary conceived Jesus in her womb, she made haste to visit her cousin Elizabeth to help her in every way possible. In like manner, may we receive Holy Communion frequently and worthily and thereby make haste to perform works of charity. May our reception of the Most Blessed Sacrament never be in vain but rather spur us on to eager service and so bear fruit for eternal life, both for ourselves and for our neighbor.